The Royal Air Force Bristol 175 Britannia Fleet. Built at Belfast and registered G-APPG to Ministry of Supply, with the first flight on 03 March 1959. 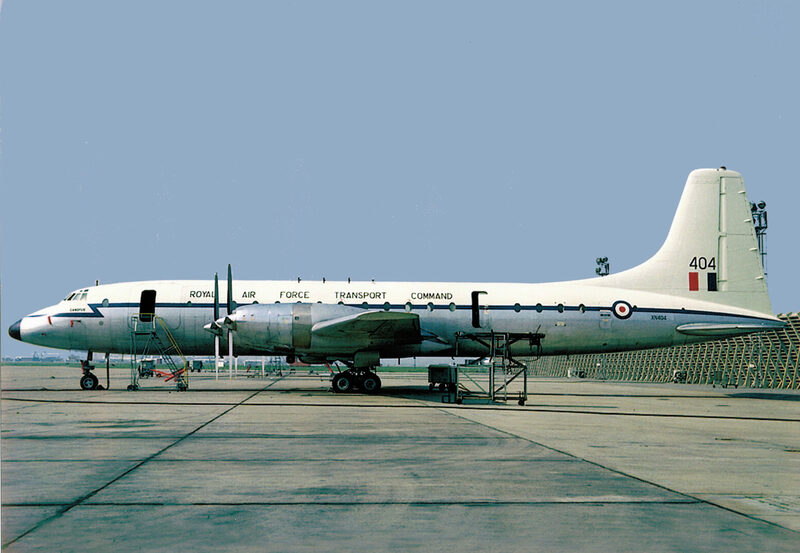 Transferred as XN404 to 99 Sqn RAF at Lyneham on 06 April 1959 and named ‘Canopus’. Withdrawn from military service in December 1975 and sold to Shackleton Aviation. Onward sale to Air Faisal was not concluded and she was broken up at Luton in November 1976. Possibly used as source of spares for Air Faisal’s other Britannias.